A cross between Nora Ephron and David Sedaris, longtime NPR commentator Marion Winik has a uniquely hilarious and relatable way of looking at life. 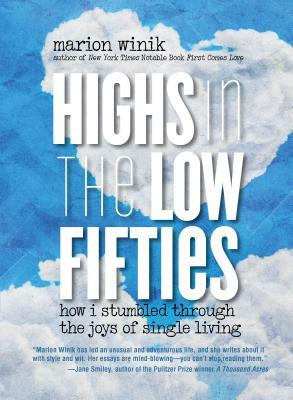 Her stories of being single in middle age, marked by stylish writing and stunning candor, left readers bent double with laughter when they appeared in her column, rated "Best of Baltimore" by Baltimore Magazine.Highs in the Low Fifties follows Winik's attempt to rebuild her world as a once-widowed, once-divorced single mom. With her signature optimism, resilience, and poor judgment, Winik dives into a series of ill-starred romantic experiences. Her clarity about her mistakes and ability to find humor in the darkest moments--in love, and in all parts of life--has won her a growing crowd of devoted followers . . . and a few voyeurs. Marion Winik is the author of six books of creative nonfiction, including Telling, First Comes Love, The Lunch-Box Chronicles, and The Glen Rock Book of the Dead, and two volumes of poetry. Her essays and book reviews have appeared in The New York Times Magazine, The Sun, Salon, More, and Newsday. Her commentaries for All Things Considered are collected at npr.org. She is a professor at the University of Baltimore. For more information, go to marionwinik.com.